Go Bowling in Houston, TX! The Premiere Bowling in all of Houston! 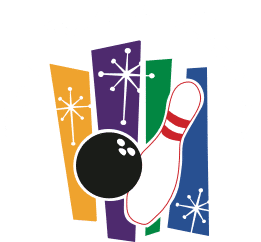 Del Mar Lanes is now THE place to go on Friday and Saturday nights. It has become Houston’s hottest family entertainment center! Between the huge 150-inch music video and sports video screens, special effects lighting, bowling ball motion tracking sensors, infrared cameras and projector systems, you can enjoy the best bowling experience ever! It’s Not How you Roll, it’s Where you Bowl! We can make sure your party or event is a blast! We have kid’s birthday party packages, adult birthday, group & company events, fundraisers and more. Rent the coolest party room in Houston TX for your next event! The only place in Houston with UNREAL BOWLING! Copyright 2019 © Del Mar Lanes, Houston, TX's favorite bowling alley and family fun center. This retro bowling joint hosting individuals, leagues & parties serves pub fare & has a full bar.